Improve your corporate image with commercial painting services from North American Coating Solutions. Whether you’re remodeling your business or just looking to freshen up the exterior, our commercial painters will transform the look of your commercial property for the better. Get superior craftsmanship backed by a 5 year workmanship guarantee when you invest in commercial paint solutions from our family-owned paint company. Your satisfaction is 100% guaranteed. To learn more about our commercial painting services, contact North American Coating Solutions today at (586) 226-9416. Our commercial painters in Metro Detroit are standing by to assist you. Our commercial painters in Metro Detroit will work with you to select the perfect colors and paint patterns for your business. From simple touchups to complete color changes, our painters have the tools they need to get the job done right. That’s why we back all of our commercial painting services with a 5 year guarantee! We work with the finest commercial paints in the industry to provide maximum coverage for a minimal investment. Call or come by today to take a look at your commercial painting options. Finally, A Commercial Painting Company That Work Around Your Schedule! 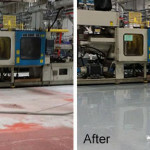 At North American Coating Solutions, we work around your schedule. We can come in at night or after operating hours to paint your building without disrupting your business. We know that time is money, and we will do our best to make sure you don’t sacrifice time just to have your building repainted. 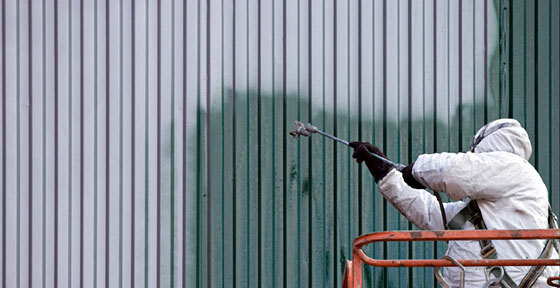 Our commercial painting experts will completely clean up when finished, leaving your job site looking its best. Call (586) 226-9416 today to speak to one of our commercial painting experts.